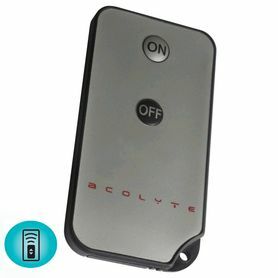 The Sumix Point N Party Series of LED Lights are compatible with our Acolyte Remote Controls.. You can control many of these lights with a single remote control(sold separately). How wonderful to put together your displays, and not have to turn on the lights right before your party or event. Just use your remote control to turn the lights on and off! These are fantastic in small place-setting displays as well. They are ideal lighting for catering design. 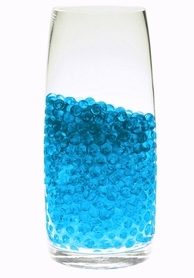 Use them in our Jelly Decor- simply place one of these in a vase, fill with Jelly Decor and water, and you have created a visually interesting and fun decorative display. Whether you are looking to illuminate gel beads or acrylic crystals inside floral vases, or light up table skirting, centerpieces or ice sculptures, Acolyte has a product for your every design lighting need. And the best part about our lights is that the LED bulbs themselves last thousands of hours, are cool to the touch, are very energy efficient which is great for the environment and best of all are completely wireless so you won't trip over them. All our lighting products are constructed with the highest quality lead-free materials. And most of our products are battery operated such that you can use them over and over and over, again. I love this product. 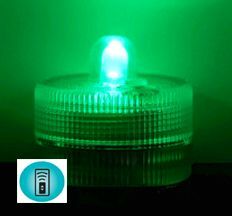 the lights are a great Emerald Green Color and very bright. I used them to light up our wedding centerpieces and they fit perfectly. I would highly recommend the remote control as it makes it easier to preassemble any project and just turn the lights on when you need them. Lastly I very much appreciated the customer service from this company. I ordered over 60 lights and all but 5 worked. As soon as I emailed the company regarding the non-working lights they promptly responded and replaced the 5 that did not work.